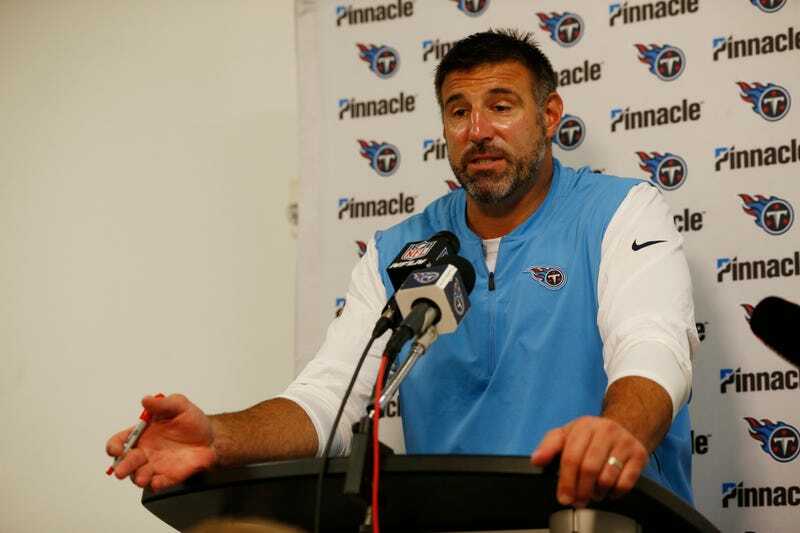 Titans coach Mike Vrabel is one week into his NFL head coaching career, and so far his contributions to the franchise have consisted of an obnoxious pregame workout routine and getting beat by the Dolphins. But he’s got a new wrinkle for Week 2: two quarterbacks at the same time. Before you spend too much time staring off into space trying to come up with an argument for how using a two-man quarterback rotation could actually be a totally sick strategy that could totally work if you really think about it, man, just remember this: Marcus Mariota and Blaine Gabbert aren’t very good.